This one is the bomb! 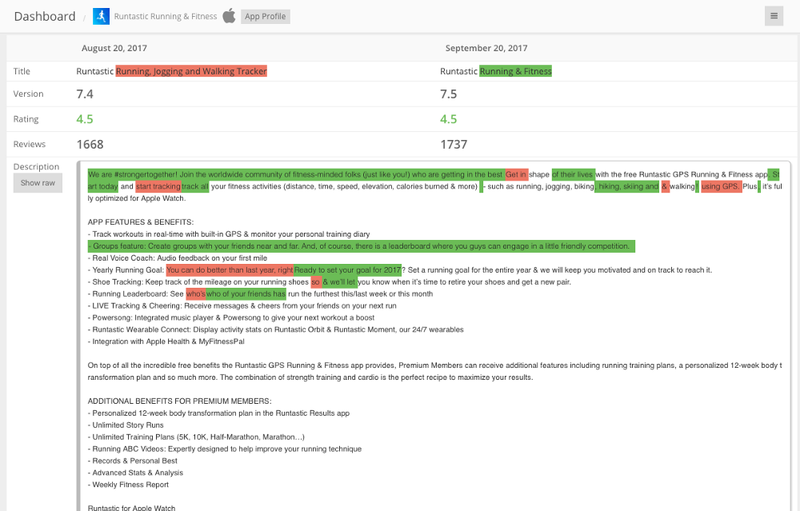 What it does is display the difference in your app metadata and keyword search position for any two given dates. No other ASO tool has ever provided such possibility. You can compare dates from the period of — wait for it — last six months! In view of recent iOS 11 release, this tool becomes indispensable as many apps have gone down in ranking because of the changes made to meet new requirements (like app title length). 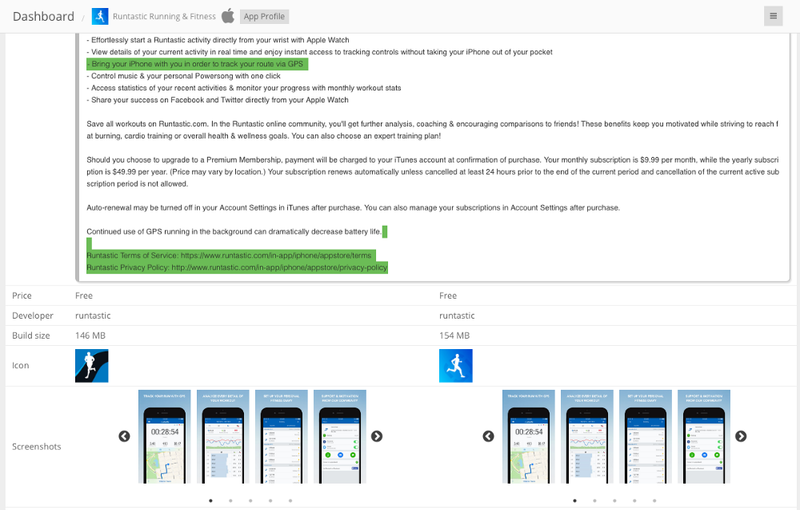 ASO Comparative Report helps to track what led to the crucial change in app position. So what exactly is it that you can compare? First of all it shows on the chart the consolidated information on your top positions in search results to all the tracked keywords altogether. 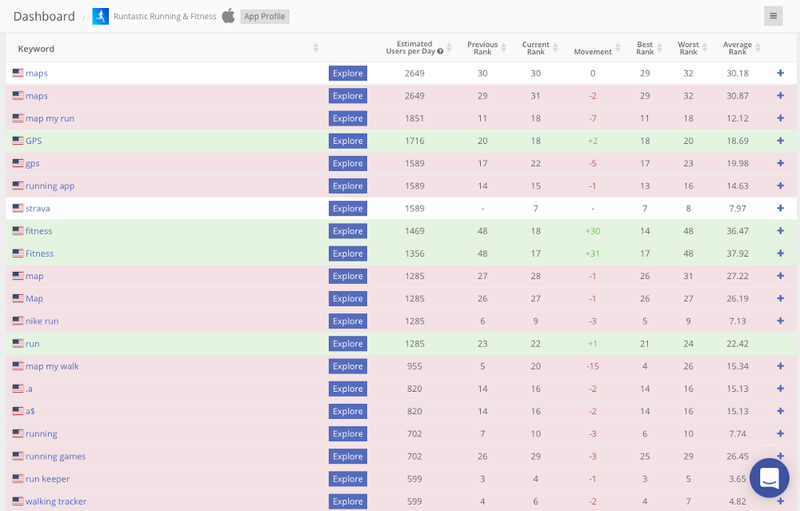 Below there’s a detailed table which shows the previous rank, the current rank and the movement across ranks for every keyword, as well as the best and the worst ranks of your app to this keyword for the whole period of time. The ASO Comparative Report tool will be available only in the Business pricing plan. Speaking of the Business plan, we’ve got another good news for you here, too! And the price remains unchanged. This, together with the new feature introduced above, definitely makes Business plan an offer one can’t refuse. Crowned with 15% discount we give to all newcomers (on all plans) with the promo code WELCOME — this can become your most beneficial investment into ASO this Autumn. We’ve renewed our site to make it more comprehensible and clean-cut. Now all the features have got the proper coverage they deserve, the navigation menu has evolved. Besides, you can now learn more about the company and get to know our team better. We’ve also localized it for more than 10 languages, to make sure we speak with our customers the same language.